Full Professor at Free University Berlin, Founder of Euro-Asia Management Studies Association (EAMSA); General Secretary of Global University Network (N.E.W.S.) and Vice President for International Affairs at Megatrend University of Applied Science. Jo Sung Park is a Professor at KAIST Business School in Seoul, Korea. Mr Park used to be the dean and vice president of KAIST (Korea Advanced Institute of Science and Technology), worked as the president founder of AAPBS. He was also a board member of AACSB. Professor Park received his doctorate at the University of Michigan in 1978 and has been working for KAIST since 1980. He was an advisory consulting Professor for Samsung Group for 10 years including the companies like Samsung Corning, Samsung SDS, Samsung Advanced Institute of Technology (R&D Think-Tank). 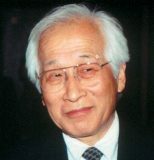 He was a member of Korean Presidential Advisory Council on Science and Technology and currently is a life-time member of the Korean Academy of Science and Technology.